Chief Justice of India designate Justice Rajendra Mal Lodha spoke to Mail Today on various issues. 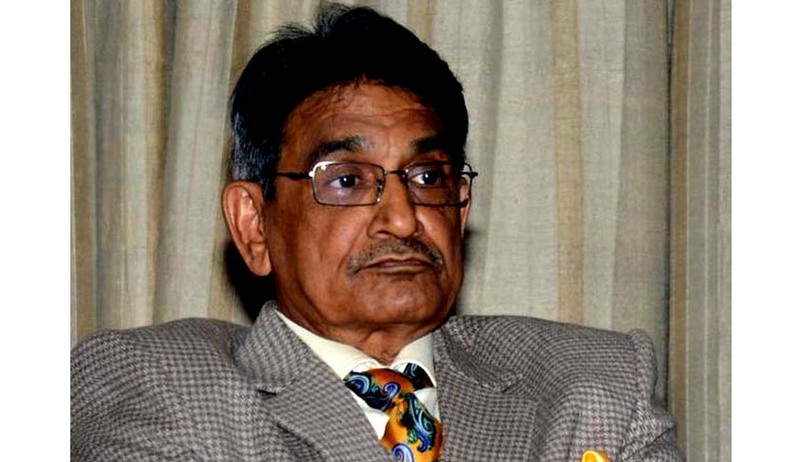 Live Law brings you a summary of the views expressed by Justice Lodha. Courts should normally not be touching administrative matters but at the same time, wherever there is illegality which require intervention, courts should not shirk responsibility. The fine demarcation should be kept in mind. Judiciary cannot take upon itself the role of the executive. Justice Lodha slammed the Centre for the negligible annual outlay for the Supreme Court, amounting to between 0.4 and 0.11 per cent of budgetary spend in recent times. This was "grossly inadequate" to meet the needs of the judiciary that include setting up more courts and improving infrastructure in existing ones. Infusing greater transparency in the appointment of judges and initiating steps to bring down the staggering backlog of 3.3 crore cases will be among his priorities. "One cannot say there is no corruption at all in judiciary. It is also nonnegotiable and has to be put down. Whatever can be done will be done. I think better scrutiny of candidates and proper and better verification of antecedents of persons being chosen for judgeship is required for preventing it." "There should be wider and more extensive consultation with colleagues, members of the bar, etc. The appointment mechanism has to be streamlined. I'm of the view that the collegium system is still the best if there is better scrutiny of candidates and more transparency is introduced." "I don't think it will solve the problem. Wider consultation and transparency is the core issue. Even now judiciary's role is limited to only making recommendations and appointment is made by the President. The only change between the present system and the proposed commission is change in composition of the recommending body." "A national consensus is lacking as some states have raised reservations on the framework of the IJS. Those states should also be brought on board,"
"This is another priority area which calls for a multi- pronged strategy like setting up more courts, improvement of infrastructure in existing courts, and appointment of more judges to improve the judges to population ratio which at present is a pathetic 13 per 10 lakh people. We are under constant process to improve things but poor budgetary allocation is a big hurdle. "The negligible annual outlay of 0.4 to 0.11 per cent in recent budgets is grossly inadequate to meet the needs of the judiciary. The Centre should be helping us more in the interest of faster justice delivery." Mediation is being encouraged at all levels and holding of more Lok Adalats at the state and national level is a priority. The first national Lok Adalat held on November 23 last year was a thumping success with nearly 70 lakh cases settled in a single day." "Every PIL should not be admitted. There should be thorough scrutiny at the admission stage. Originally PILs were only meant to promote the interests of the have- nots, the oppressed, suppressed and downtrodden sections but it is no longer like that."